The map shows the development of the village with many new roads constructed throughout the 19th century. 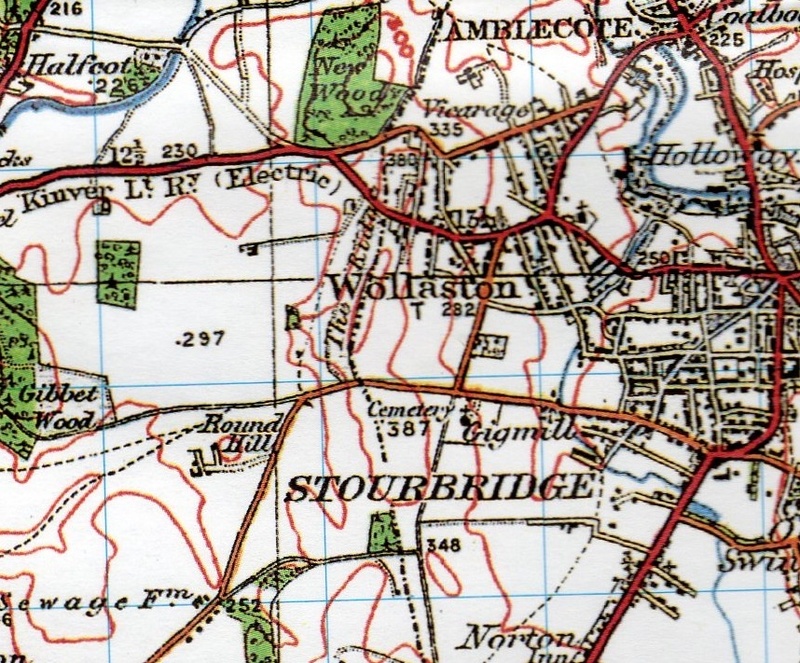 The old turnpike road shown on the map of the 1830s is still the main route between Stourbridge and Bridgnorth and became the route for the Kinver Light Railway to Kinver in 1901. The site of Wollaston Hall is shown and it was still the home of Mary Roberts until her death in 1924.